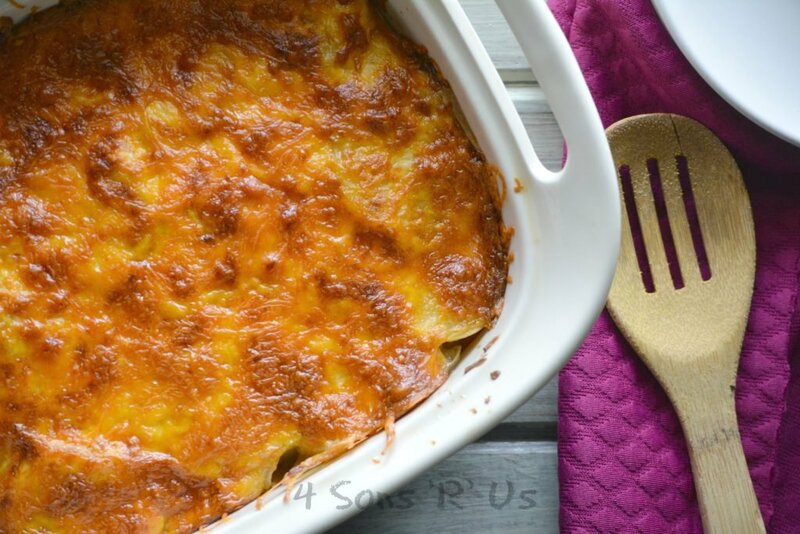 A surprisingly simple, yet iconic side dish– Cheesy Scalloped Potatoes Gratin is a must-have recipe. Tender, thinly sliced potatoes. rich cream, and cozy layers of cheddar cheese make this melt in your mouth casserole irresistible. There may not be a heated debate going at the moments over the merits of scalloped vs. au gratin potatoes, but ask several people and you’ll quickly find most everyone has their own opinion as to which is better and what exactly the differences between the two dishes are. 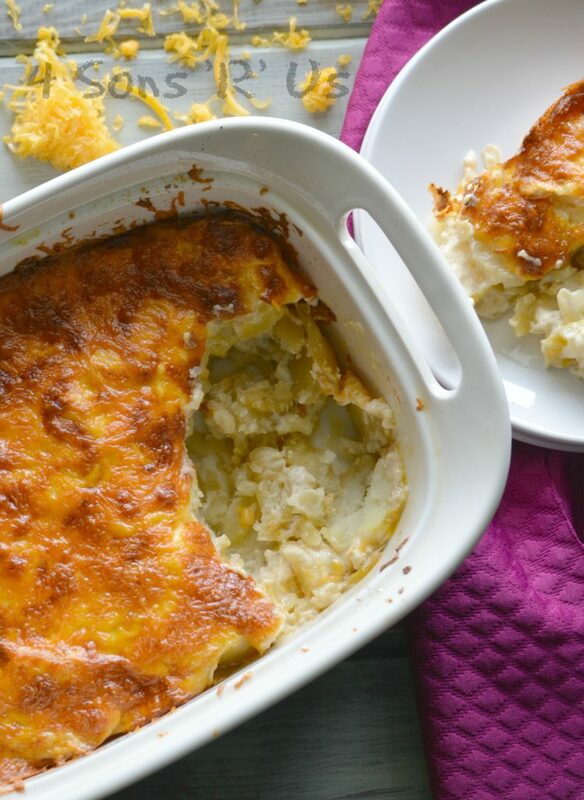 Simply put, scalloped potatoes are a milk based potato dish. The potatoes are usually sliced very thinly although what technically makes it ‘scalloped’ is the milk base. Au gratin on the other hand is any dish that is topped with cheese and/or bread crumbs and layered with bits of butter and is baked until brown and crispy. People often get them confused and use the terms interchangeably. However, gratins can be made with a variety of vegetables. Growing up we all loved either one, although we were always just a little partial to the cheese. Despite liking them, I got this weird little kick out of calling them ‘rotten’ potatoes. Probably because it annoyed my parents. 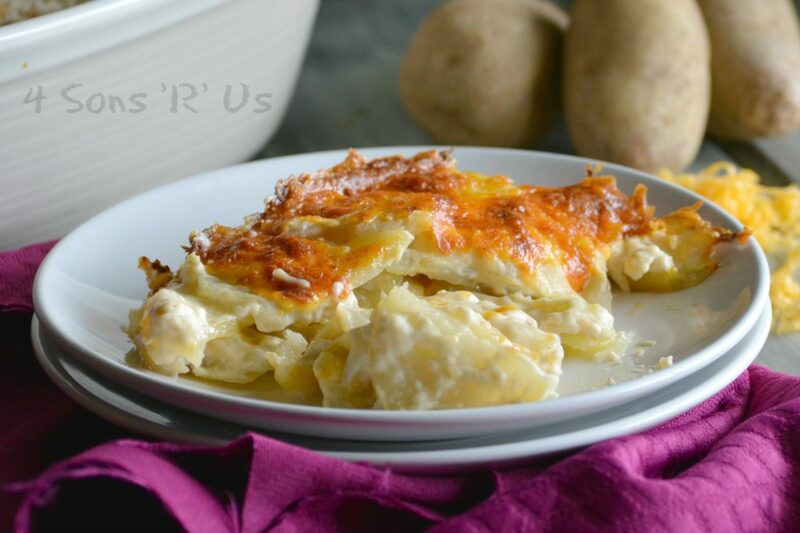 With that said, here’s my favorite recipe for scalloped potatoes and potatoes au gratin! I decided the differences didn’t matter all that much, and these two classic potato dishes became one. Now, whether it’s for a super cozy weeknight side dish or as an essential addition to your next holiday meal, you’ll love these cheesy, scalloped potatoes gratin. The leftovers are just as good, maybe even better, the next day. A surprisingly simple side dish featuring layers of melt in your mouth potatoes, a rich cream sauce, and cheddar cheese. Cut potatoes into 1/4-inch thick slices and set aside. In a medium saucepan over medium heat, melt butter. Add onion and cook for 5 minutes, stirring occasionally. Whisk in flour and cook for 1 minute. Whisk in milk, dry mustard, cayenne pepper, paprika, and salt. Bring to a boil over high heat, stirring occasionally. Reduce heat and simmer for 3 minutes or until thickened, stirring frequently. Arrange half of potato slices in a lightly greased 9-inch square glass baking dish or 1-1/2 qt. casserole dish. Spread half of milk mixture over potatoes and top with 1 cup cheese. Repeat layering with remaining potatoes, milk mixture and 1 cup cheese. Bake at 350 degrees for 1 hour, or until sauce is bubbly and potatoes are tender. Sprinkle with fresh parsley and a little cayenne pepper or paprika. This is perfect for making ahead of time. Assemble as instructed, and instead of baking cover the dish and refrigerate, up to 8 hours, and bake as instructed when ready. 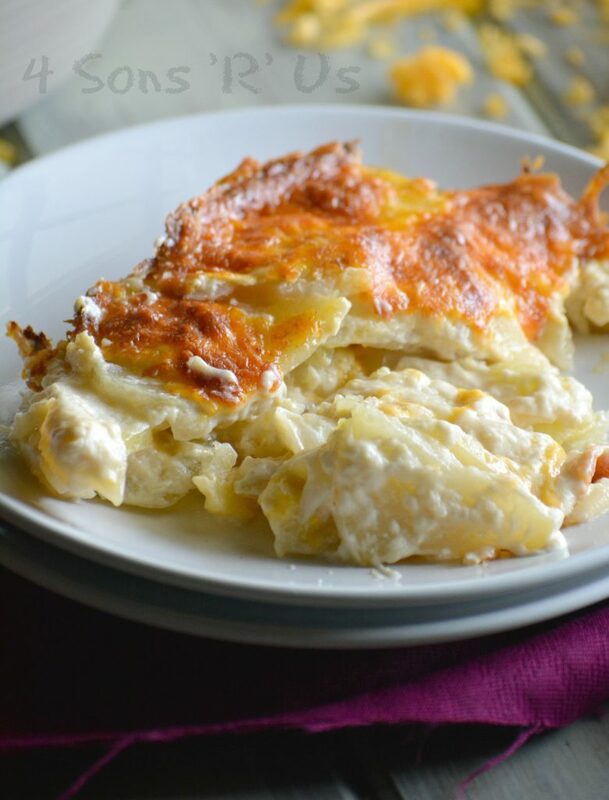 Delicious, love scalloped potatoes never had with cheese, it has to be really good, it looks incredible. Oooh look at that golden brown, cheesy crust on top! I don’t think I’ve ever eaten scalloped potatoes without cheese. Once you have them it’s hard to go back to cheese-less! OMG, these look so good! I can’t wait to try the cheesy potato goodness! After looking at a few of the blog posts on your website, I truly appreciate your technique of blogging. Drooling! Cheese and potatoes are always a winning combination!!! I can’t even remember the last time I had scalloped potatoes! These look so delicious. I definitely need to make them again soon. Pinning this recipe! Thanks, Karyl! They’re a favorite around here, especially when the cooler weather rolls in. 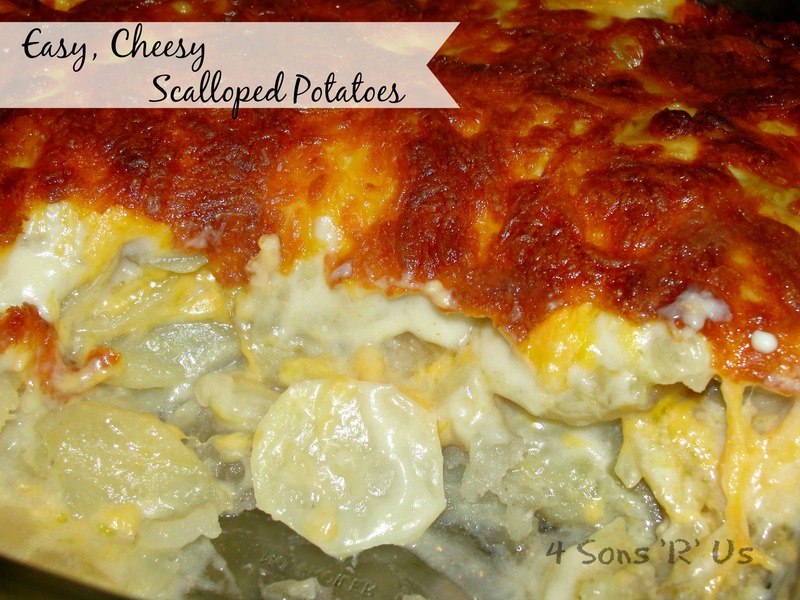 I definitely needed a new scalloped potato recipe, pinning for later! Just a heads up, your instagram button took me to my home feed rather than your profile so I could follow you. Might want to check it out. Have a great weekend!